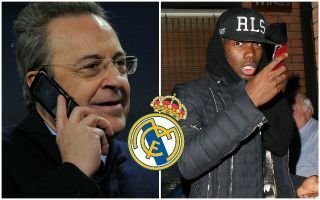 Real Madrid president Florentino Perez has reportedly received a phone call in the last 24 hours from Manchester United star Paul Pogba regarding his transfer plans. Although it is not made clear if this was a direct call or one between Pogba’s agent and the Madrid chief, Don Balon state the France international has made it clear he’s only after a move to Barcelona. The piece adds that the 25-year-old has made it his priority to leave United as soon as possible, with a January switch to the Nou Camp perhaps on the cards. Don Balon state Pogba is aware Barcelona will come back in for him after some talk of a summer switch never materialised, and he’d prefer moving to the Catalan giants over Los Blancos. This is a big blow for Real, with another report from Diario Gol today claiming Pogba was one of a number of big-name players snubbing the club this summer due to the departures of star player Cristiano Ronaldo and former manager Zinedine Zidane. Despite winning the Champions League for a third year in a row just last season, it seems Madrid could struggle in the future after these major changes and a lack of top quality signings that they’ve become so used to in the Galactico era under Perez.